The Workum Fund is proud to announce that, beginning June 1, 2014, its internship program will be administered by the Jewish Federation of Cincinnati. Sammy Kanter, Esther and Maurice Becker Networking and Mentoring Coordinator at the Jewish Federation, will be the director of the program. “The Workum Fund has been a tremendous asset to our community over the past 97 years, and I’m excited to expand the fund in its current internship program,” Kanter said. As part of his role to attract, engage, and retain young adults in our community, Kanter will expand the interns' summer experience to include more activities outside of the office. Those activities include a dinner with participants of The Mayerson Foundation's Access program; a workshop at JVS Career Services; involvement with the Cincinnati Intern Network Connection (CINC), an initiative sponsored by many local companies; and a series of events planned by the interns. Kanter will align the program with one of Cincinnati 2020's—strategies attracting and retaining young adults in our community and connecting them to employment opportunities and community leaders. “These Workum cohorts are our future leaders. I look forward to connecting them to the young adult experience here in Cincinnati, as well as helping them build social and professional contacts to jumpstart their lives post-college,” Kanter said. The Workum Fund has a rich history in Cincinnati. In 1917, a small group of Cincinnati women formed a committee to create the original version of the Fund, to help young people with the ability to finish high school and to attend college. As a tribute to the first chairperson, the name of the Foundation was changed on April 30, 1930, to the Therese M. Workum Scholarship Foundation (now the Workum Fund). 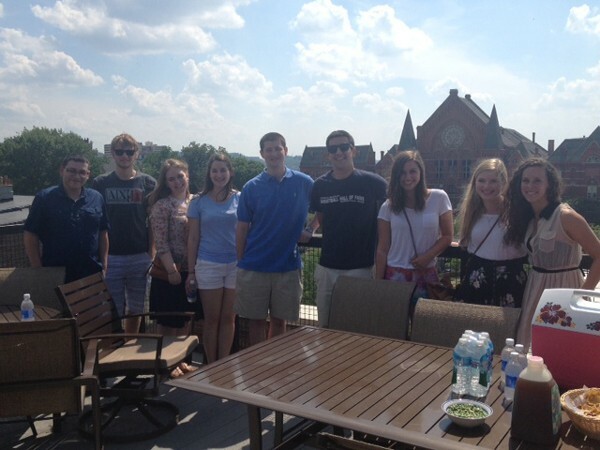 Since 1987, the Workum Fund has offered paid, supervised internships in local Jewish agencies to college students raised in or studying in Cincinnati. Through this program, college students receive work experience and learn the operations of nonprofit Jewish agencies. As the fund is supported through donations, it collects and receives gifts and bequests to support its programs. The Jewish Federation also partially funds Workum, as do the local agencies hosting interns. Internship applications for future summers will be released this fall and administered by the Jewish Federation.